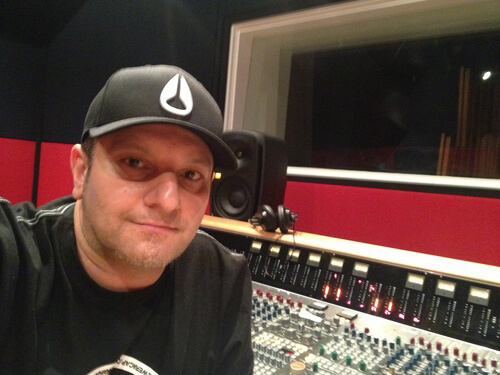 Espa is probably one of the best Rap/Hip Hop engineers in Sydney today and has an impressive array of International credits including Pharrell Williams, Swidish House Mafia, The Dogg Pound and various other International and National names. Espa was tutored personally by Young Guru (Jay-Z and Alicia Keys) and has a very good reputation in Sydney for solid work and results. Espa’s been involved with the music scene since 1990 specialising in producing and programming of hip hop/electronic music. He’s a bit of a specialist too, having watching the scene evolve from the 90’s Espa has acquired a vast knowledge of musical styles, mixing techniques and mastered. When Espa works with an artist he brings a unique blend and view to electronic music that really goes a step further to help the artist achieve the results. It’s safe to say that Espa is passionate about educating and spreading his knowledge of Audio Engineering. As such, Espa’s a tutor at SAE Sydney and runs youth arts mentoring program at the Redfern Community Centre in his spare time. INXS, Pharrell Williams, Black Wall Street, Potbelleez, Kerser, Rates, Eso (Bliss n Eso), Hyjak, Torcha, SQZ aka Tony Biggs, Jay UF, Hau (Koolism), Vice Verser, Charlie ‘Phenom’ Wilson, Zenya Bashford, Mystik Journeymen, Murs, Abstract Rude, Jesswon (Thundamentals), Sebastian Ingrosso and Steve Angello (Swedish House Mafia), Sleek The Elite, Alex Jones, Son Of Sam, Fortay, Jimmy The Gent, Sky’ High, Mass MC, MC Willis, NJE, ChillinIT, Invada Z, Cheap Sober, Tycotic, Fairapy, Kevin Hunt and Simon Tedeschi, You Am I, Georgie Parker (Acropolis Now, ABC’s Play School), Paul McKercher, Gin Wigmore, Andy Bull, Jim Conway, Lee Groves, Carrie Lakin, Carl Riseley, Tim Finn (Split Enz), Tim Freedman (Whitlams), Rai Thistlethwayte (Thirsty Merc), Don Walker (Cold Chisel), MM9, Leo Sayer, Bukue One. SSL 948 . Adams and Genelec monitoring . Neve 1073’s and 1081’s . EQP1-A’s . Vac Rac TSL-3 . vinatage mic’s and more.